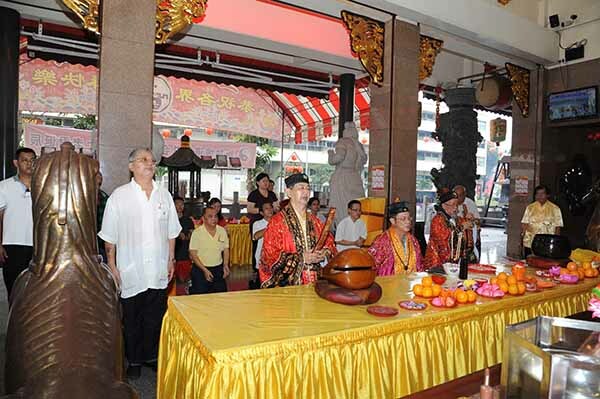 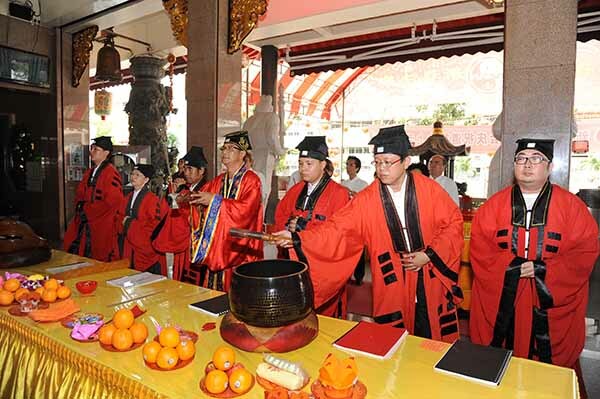 From 1970s onwards, Taoists in Singapore, regardless of place of origin and sect, gathered together to celebrate the birthday of the Heavenly Lord of Dao and its Virtue. 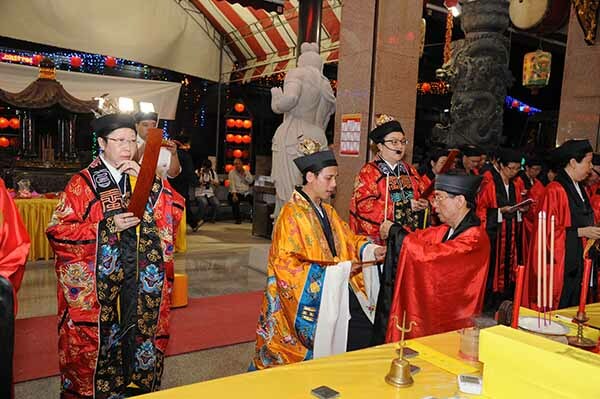 Later, the Taoist organizations included heritage exhibition, music appreciation, lectures, slide show and video, calligraphy competitions and dialogue and other forms to introduce the history and culture of Taoism, and the Taoist doctrines, making the celebration even more meaningful. 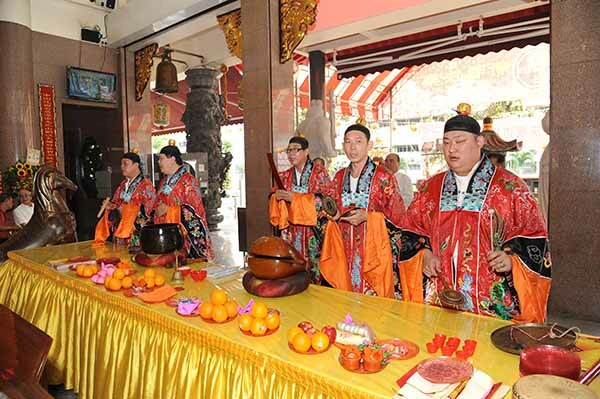 It provides an opportunity for Taoists, devotees and general publics to understand and know more about Taoism, and it has also enriched the celebration and got rid of the impression that the god’s birthday activities are confined to the worship and banquet. 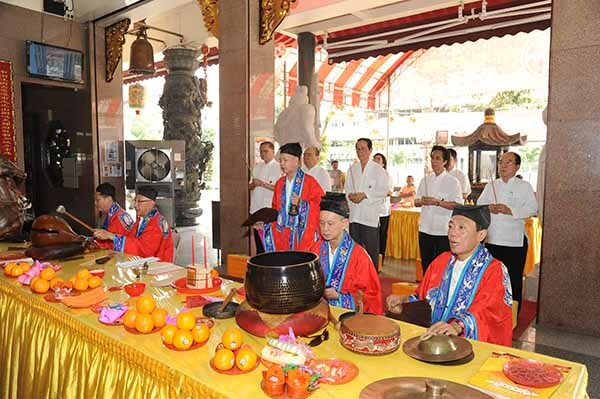 Celebration for the birthday of the Heavenly Lord of Dao and its Virtue falls on 15th day of the 2nd lunar month. 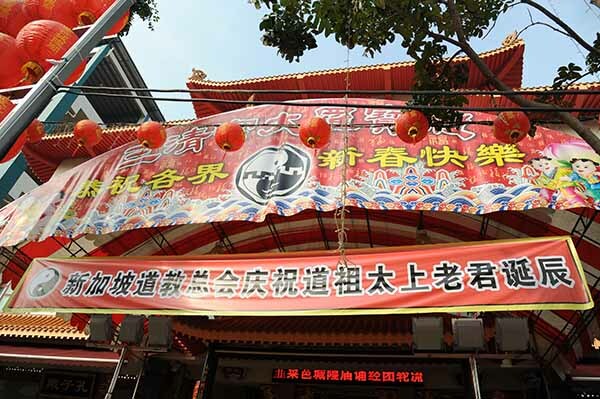 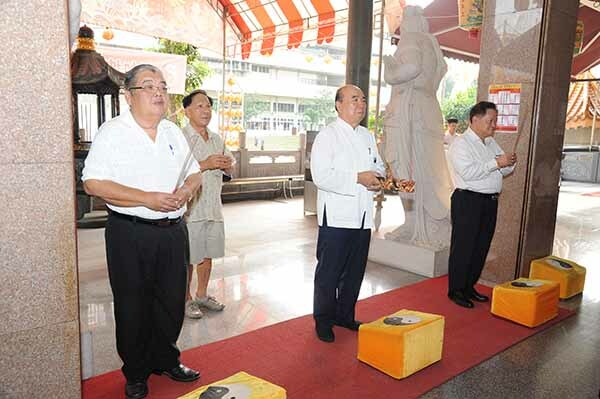 On this day, Chairman of Taoist Federation led all Management Committee Members and devotees at San Qing Gong Da main hall for prayer to celebrate the Holy Birthday of San Qing Dao Zhu. 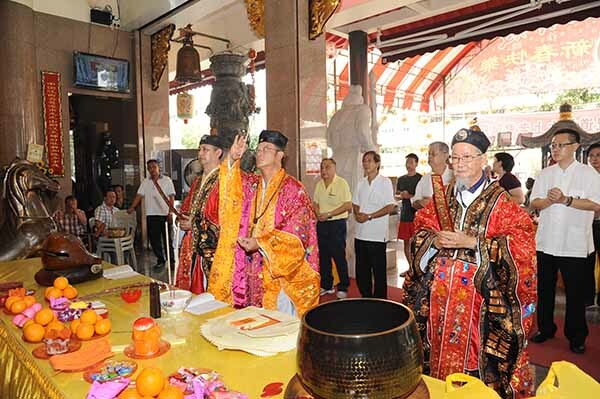 Taoist masters from Fujian, Guangdong, Hainan dialects and prayer troupe from Xian Tang Gong and Lorong Koo Chye Sheng Hong Temple scripture-chanting group were specially invited to offer prayer to bless our nation’s peace and prosperity.